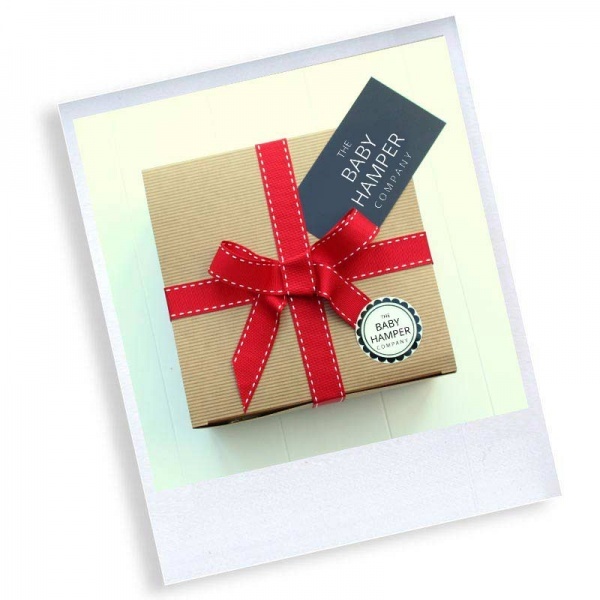 The luxury Mother & Baby hamper is filled with products to pamper both Mum and Baby. 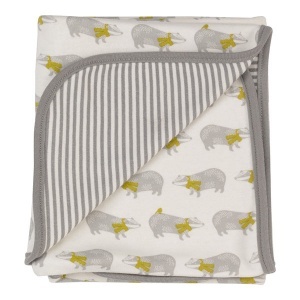 Pigeon Organic Blanket - a beautifully printed blanket by designer brand Pigeon Organic. In a colour scheme of grey, white and mustard yellow, a unisex blanket that is perfect for pram or cot use. 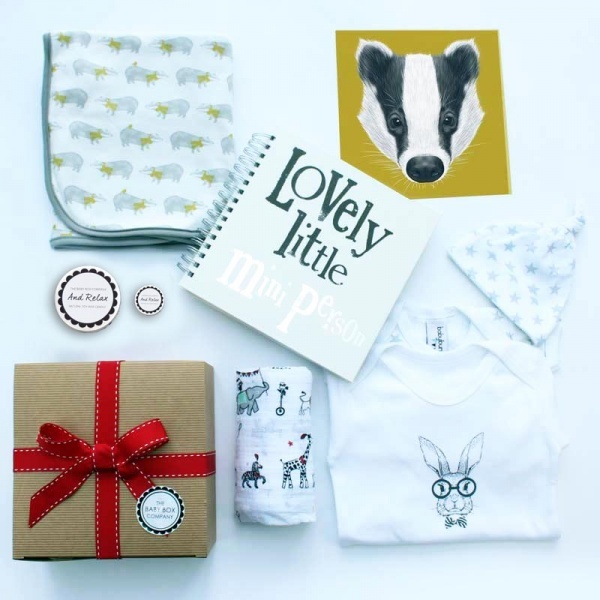 !00% organic cotton with badger print to one side and stripe on the reverse. Baby Memories Book - a quality, hardback, keepsake book to store all those special memories. 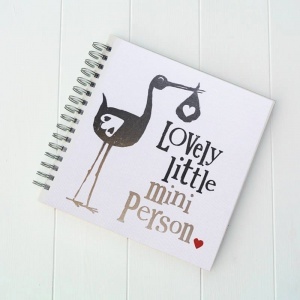 Contains pages for photos, your baby's 'firsts' and makes a fantastic record of a very precious time. Comes with quirky annotations for each page. 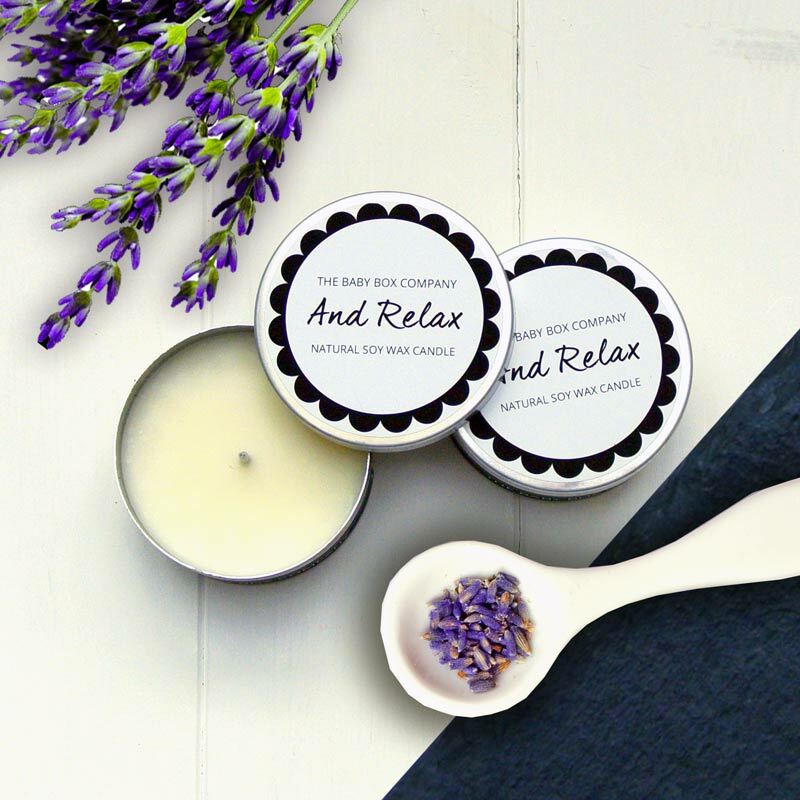 'And Relax' scented candle - a scented beeswax candle that releases a relaxing, soothing and rejuvenating scent when lit. 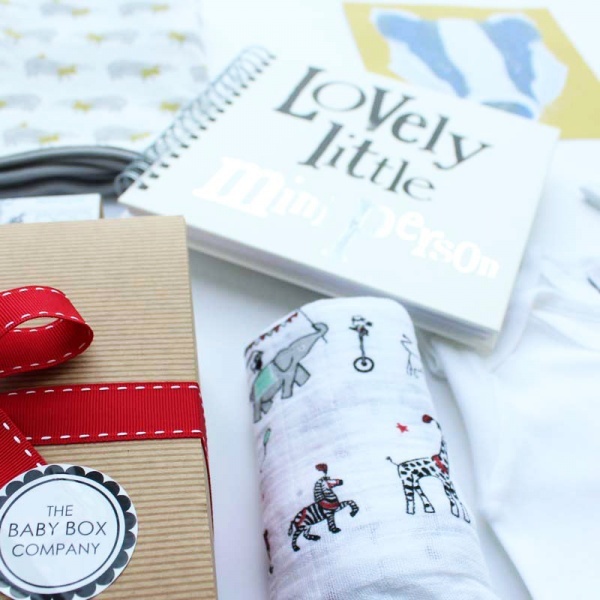 A perfect gift for all new mums and comes in a printed metal tin. 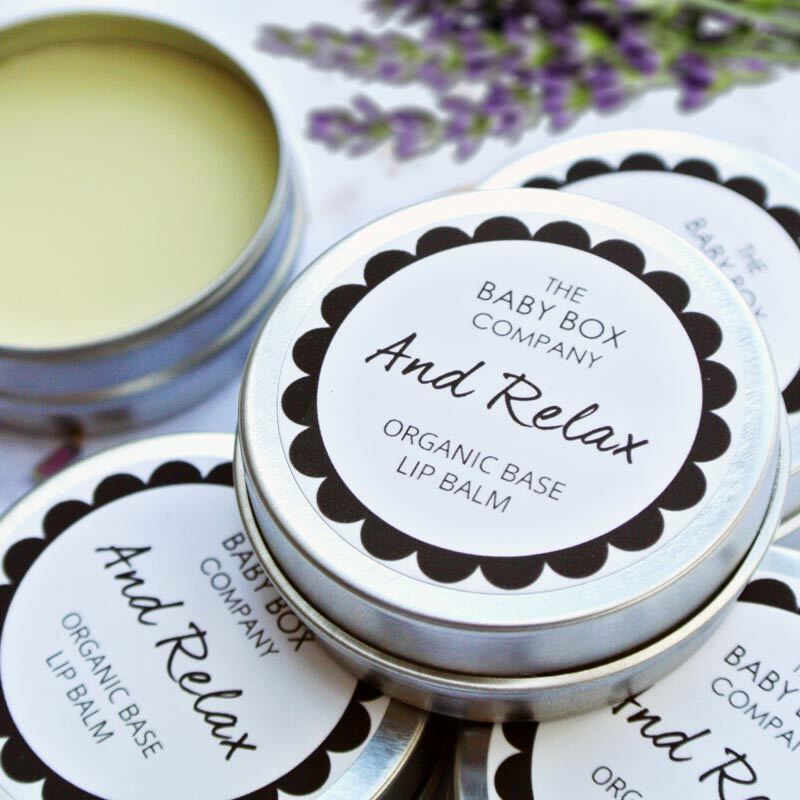 'And Relax' lip balm - a lightly scented lip balm,, to match the candle above. 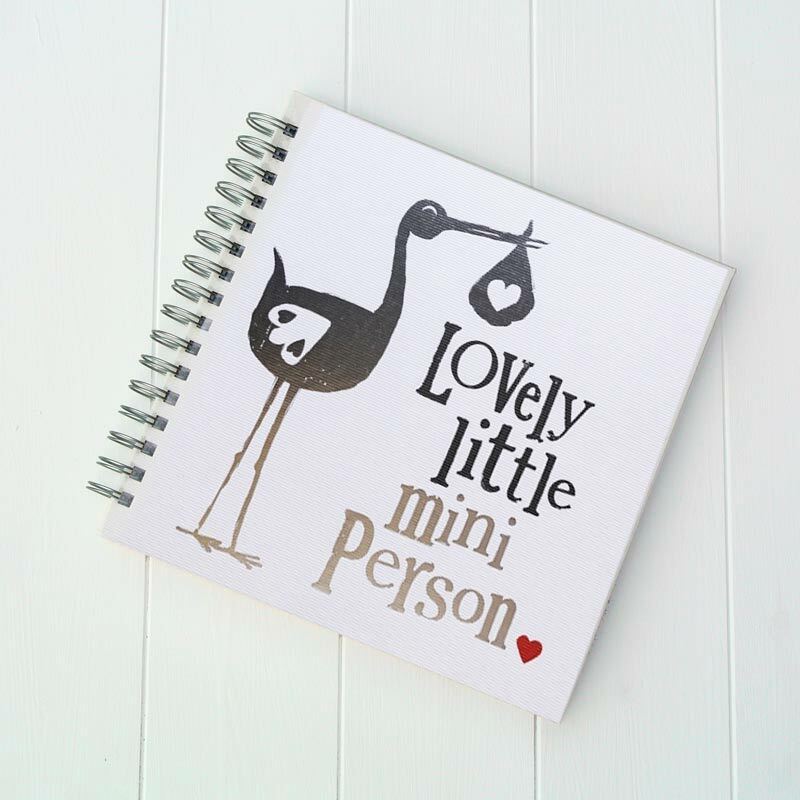 A real treat for your new Mums! Aden & Anais muslin cloth - a designer version of a new baby essential. 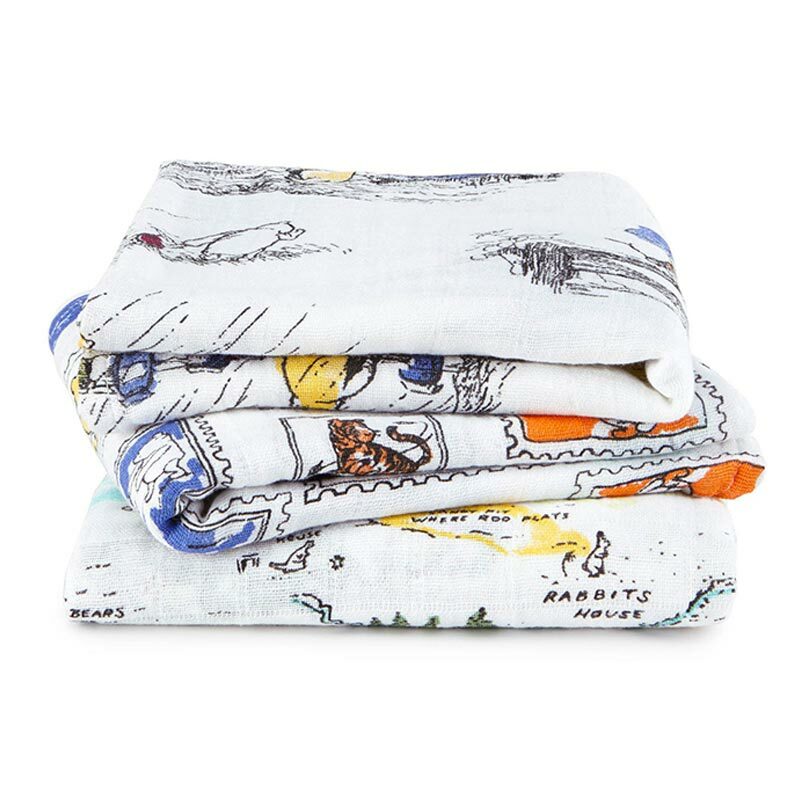 This gorgeous printed square of cotton cloth can be used as a burp cloth, cot sheet, summer blanket to name but a few uses. Features a vintage circus print. Bodysuit in white - one of our own range, hand-printed bodysuits. These can be used by themselves when the weather is warm or as an additional layer during the cooler seasons. 100% cotton and aged 0-3 month. Romper suit in star print - from our exclusive range of Baby Bunting clothing, this romper suit is great for a day to day outfit. 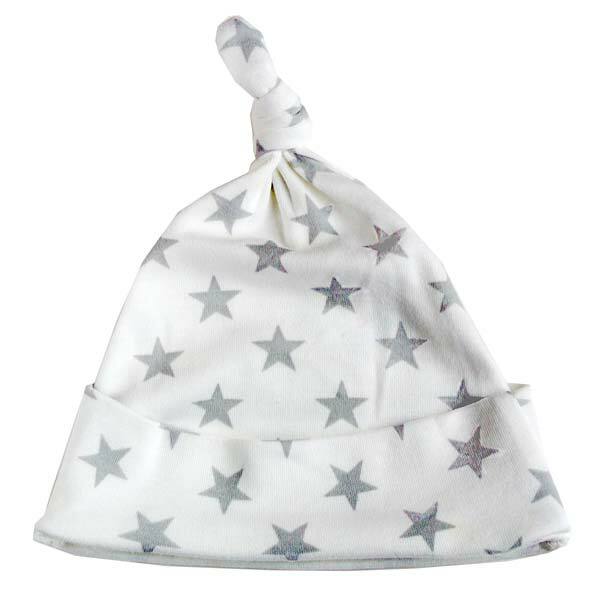 Made from cotton and features a cool white and grey star design. Age 0-3 months. Hat in star print - a super cute cotton knotted hat to keep precious little heads warm. Print matches the romper suit above to give a matching outfit and in 0-6 months size. Handpicked and packaged with love by The Baby Hamper Company. 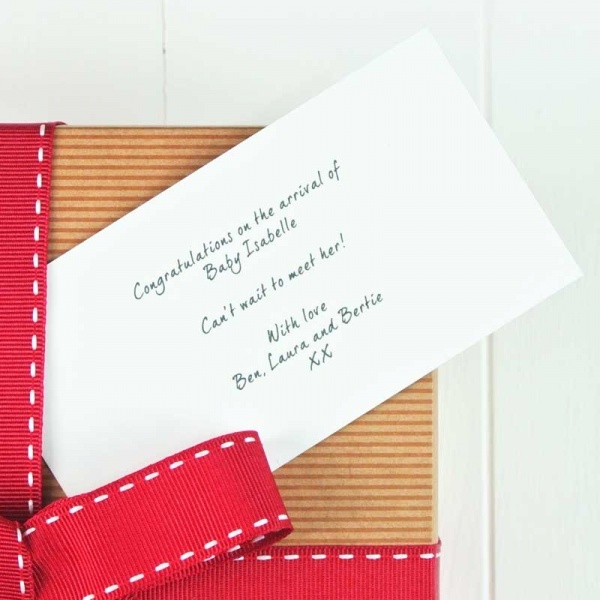 Your package will be delivered with FREE luxury gift wrapping and with your own personal message card included.